Neville Casdale Llew Howe obituary. Carnes Funeral Home. Neville Casdale Llewellyn Howe went home to heaven on January 3, 2014 in Houston, TX. 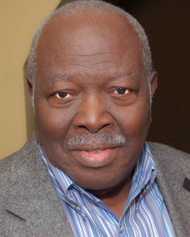 He was born on November 7, 1924 in the tiny fishing village of Bucco on the island of Tobago. As a young man he had a special gift for carpentry. The home he built in Trinidad was furnished with many pieces which he made himself. This hobby kept him busy during the mellow years of his life in Dover, Delaware. His favorite pastimes at family gatherings were eating and telling stories, both of which provide their own nourishment. The food fed us while we were there and supplied nourishment, but the stories continue to nourish us long after our time together ends. Not only was Neville a father and grandfather and story teller, but he was also a husband, a brother, a neighbor, a friend, and counselor. He reached out to strangers and offered help to others where ever and whenever he could. His generosity, his benevolence, his optimism and perseverance would long be remembered. His stories would unite and keep the family connected. They are the modern stones of remembrance we lay to recall, to impart to others and to remain connected to God. We thank our Almighty Father for Neville’s life and legacy. He will be greatly missed by all who had the honor to know him. The visitation will be held at Christ the King Episcopal Church, 15325 Bellaire Blvd, Houston, TX 77083 from 9:00 AM until 11:00 AM on January 11, 2014. The funeral Service will begin at 11:00 immediately following the visitation.